Not the other way around as previously thought. 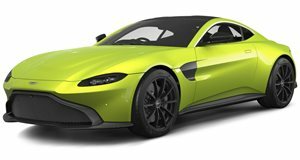 It was a fair assumption to think the Aston Martin DB10 from the latest James Bond movie “Spectre” served as the design inspiration for the all-new Vantage. After all, the movie came out in 2015, offering plenty of time for Aston Martin designers to turn that concept into a production car. Turns out it was the exact opposite situation. 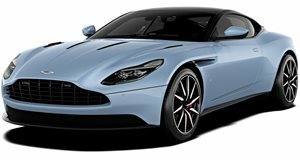 According to the UK’s and , when James Bond producer Barbara Broccoli and director Sam Mendes visited the Aston Martin design studio, they were shown pictures of the then not launched DB11. They liked it just fine, but as they were leaving the pair saw sketches of the new Vantage and “loved the dramatic look.” That was the car they wanted Bond to drive. Aston Martin design chief Marek Reichman decided instead to design the DB10 using cues from the Vantage. “It was a great way to test the water for the new Vantage design,” Reichman said. “It’s one of the most dramatic faces of any Aston Martin, and a frenetic drive.” Comparing the DB10 and DB11, which of the two looks more athletic and more badass? Of course the DB10, hence its creation solely for Bond. Comparing images of the DB10 and Vantage, it couldn’t be clearer they’re strikingly similar. Their exterior proportions are about the same, but look closely and there are some differences. Specifically, the front end. The DB10 has a rounder look while the Vantage is more aggressive. The headlights are shaped differently. The DB10’s hood has softer lines while the Vantage’s has a power dome. To summarize, the DB10 has smoother, softer styling while the Vantage is more aggressive and definitely sportier.